These words were spoken by activist Harry Britt in November, 1978, on the evening of the assassinations of Mayor George Moscone and Supervisor Harvey Milk. The citizens of the city were in shock, and their response that evening to the violence and horror experienced earlier that day was a solemn, dignified march that began at the intersection of Castro and Market Streets and ended at San Francisco City Hall – what became known as the historic Candlelight March. Instinctively, the public understood that the only way to heal from hate was to show love; the way to respond to horror was to reveal beauty. 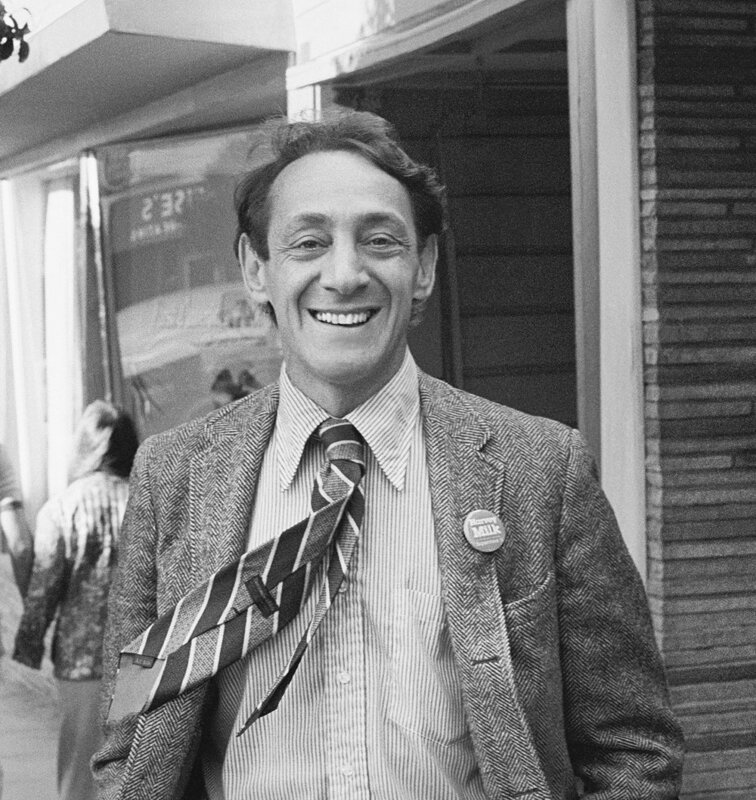 Since the evening Harry Britt spoke those words in 1978, the citywide community has longed to see something beautiful that represents Harvey Milk and what he stood for. That time is now. Today, the space known as Harvey Milk Plaza is a sunken entrance to the Castro Street MUNI station. 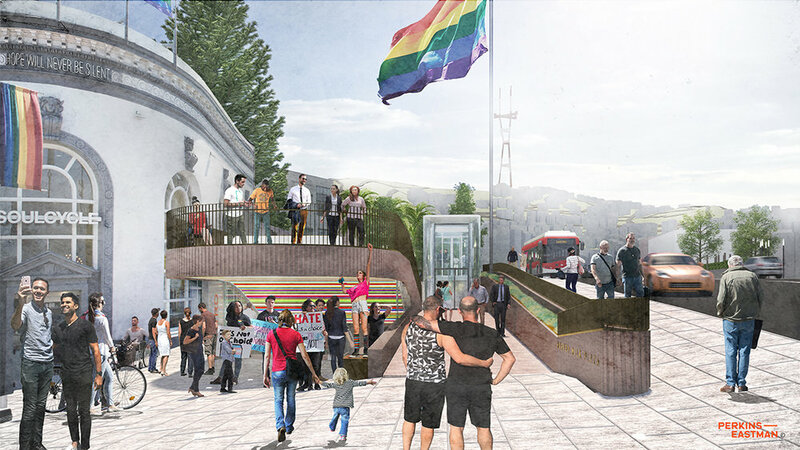 It was designed in the early 1970s, when Harvey was serving as the “Mayor of Castro Street”, and was never intended to represent someone as significant as Harvey Milk, who was assassinated while it was still under construction. Since the plaza was named for Harvey in 1985, the public has longed to see it transformed into a place that captures his spirit; a place that embodies his passion to bring people together and see that all are treated with dignity and given voice at the tables of influence. 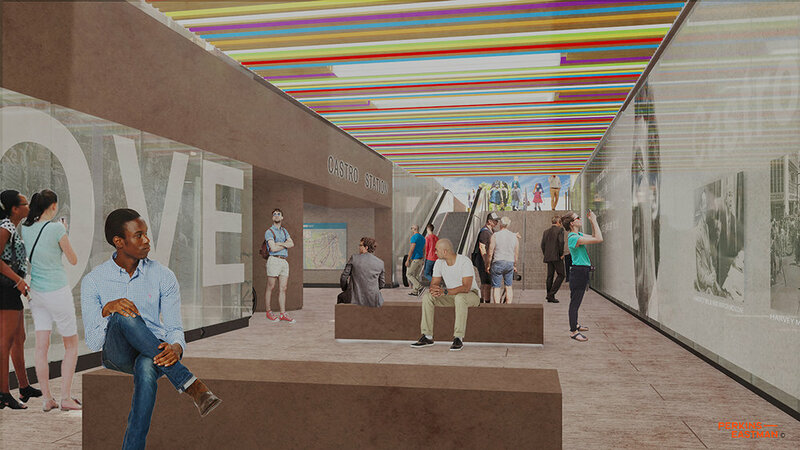 Imagine a welcoming, inclusive and inspirational place that tells the story of Harvey Milk, and the civil rights movement he ignited, in a way that connects what Harvey stood for to the ongoing struggle for civil rights in today’s world. This one-of-a-kind place will capture people’s imaginations by educating them about Harvey’s message,inspiring them to take action in their own lives and communities, on behalf of those who are most vulnerable today. The new plaza will be a beautiful manifestation and continuation of Harvey’s mission. Harvey understood the community was strongest when we stood united, and this project will strengthen the community by providing an outdoor public space that calls everyone to gather—for performance events, speeches, community gatherings, learning, socializing—and of course, for activism. At the quieter end of the site, there will also be a grove of trees where evocative art and verdant landscaping will invite visitors to reconnect with the essential ingredient that connects each of us to Harvey’s story—hope. From time to time, it is envisioned that this grove will also be the location of small gatherings, at times of celebration and remembrance. None of this is possible without you. Your support is needed to create this place for Harvey so that his story continues to engage and inspire. Please join the movement to ensure that Harvey’s mission will live on–that the story of Hope will continue to be told. Join the movement today. Together, we will honor Harvey Milk.